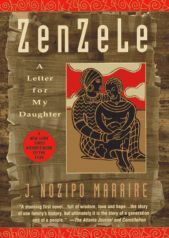 Maraire, Nozipo; Zenzele : A Letter for my Daughter. New York: Crown, 1996. , ISBN 0517702428. Note: In beautiful lyrical language a Zimbabwean mother writes a letter to her daughter who is leaving for the U.S.